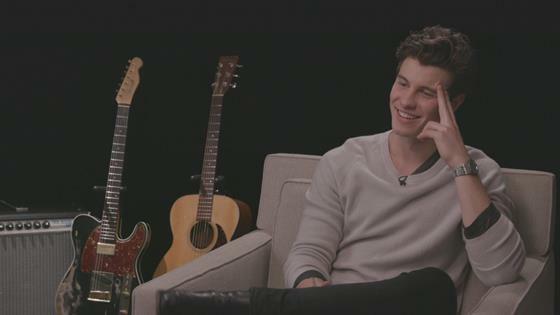 For the record: Shawn Mendes is a single man. As the "In My Blood" singer continues to celebrate the release of his new self-titled album, fans want to know any and all details about his relationship status. After walking the red carpet with Hailey Bieber at the 2018 Met Gala, Shawn is setting the record straight once and for all. Shawn continued, "She was forcing me to get up and talk to people I would have been terrified to speak to or say high to so I got to meet so many cool people because of her. She's super special, so sweet." Now that we got that out of the way, can we finally talk about his highly anticipated new album?! "There's multiple tracks that are about situations that are going on in my life, which were terrifying because it's clear who I'm writing about within me and that person," he teased to E! News. "It sounds so cliché but life is just really short and just to sit there and not say exactly how you feel is not helpful because you need to get past things. You need to either figure out if it's going to work or you need to figure out if its not so you can move forward. Now is kind of it." Shawn continued, "I'm just going to stick with that forever now. When I'm creating music—even when I'm talking to people—I'm just going to be honest because there's no point in making things last longer than they need to." If you like what you hear, make sure to see Shawn perform live when he headlines his third global tour in 2019. Tickets are on sale now.